Celebrate Easter with stunning pastel floral colors! 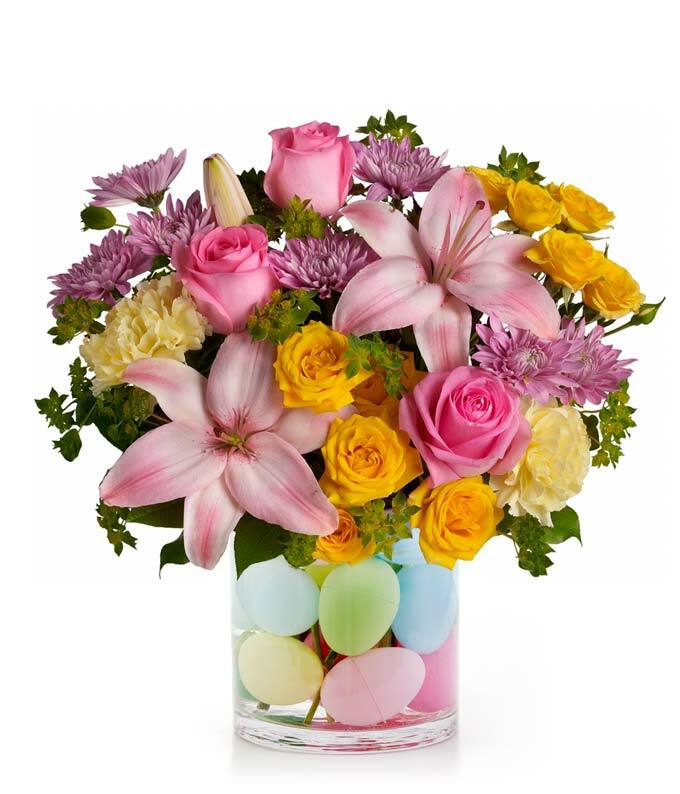 Make it even more festive with this unique arrangement that exudes Easter jubilee! Hand-arranged and delivered from a local florist in a vase filled with Easter egg decor. Easter eggs are empty and used purely for decoration but can be re-used once all is said and done. Eggcellent!